MA’s Kitchen Gourmet Market, located at 472, Ven. 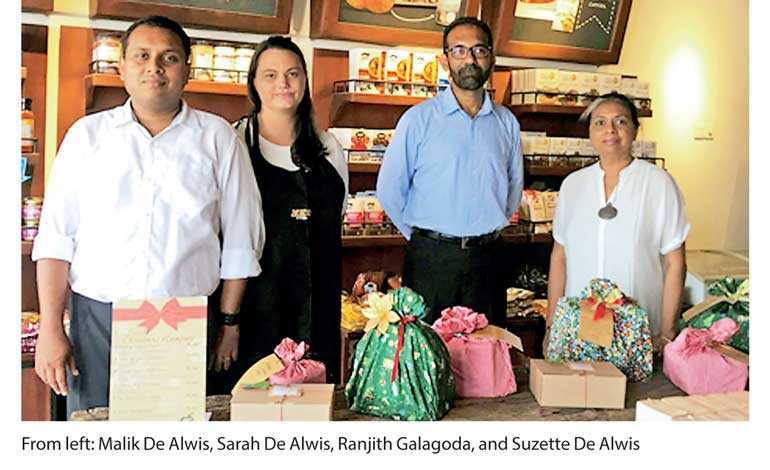 Muruththettuwe Ananda Himi Mawatha, Colombo 05, is gearing up for the holiday season with a host of delicious season spices, sauces and scrumptious goodies. MA’s Kitchen’s Gourmet Market promises customers a wonderful array of regular, and new products that are bound to make their Christmas meals irresistibly delicious. Those who look forward to adorning their Christmas table with a beautifully cured ham can choose from a variety of options. The Pepper Valley locally sourced cured ham include the following flavours for the season: cinnamon smoked ham, clove studded ham, kithul glazed ham, as well as roast pork. Chicken ham options will also be available. In addition special freshly ground seasonal spice mixes and customised ground spice mixes will be available at the store. MA’s Kitchen Gourmet will offer customers perfectly baked Christmas cake, and other sweet seasonal treats including ginger bread cookies. MA’s Kitchen is also introducing a range of curated and customised seasonal hampers this year. The MA’s team has curated six varied hampers with items such as peanut butter, sauces, curry pastes, seasonings, soups, oils and chutneys. The special organic hamper contains organic pastas, sauces, oils, as well as organic spices for those who like to promote sustainability this season. All gifts purchased at MA’s Kitchen will be packaged using stylish and eco-friendly reusable wrapping paper, in order to minimise waste. MA’s Kitchen has been providing Sri Lankans with the best in quality products and excellence for over 30 years. Over the years, the company has grown, and is proud to be accepted across the island as a premium processed food, seasonings and spice brand, delighting locals everywhere with the best in taste. With a vast portfolio of brands including ‘MA’s’ spices and spice mixes, ‘Dad’s Garden’ sauces, ‘Happy Home’ meal accompaniments, ‘Happy Life Kitchen’ vegetarian organic products, ‘Pasta Roma’ pasta and sauces, ‘Pepper Valley’ meats and ‘New Beginnings’ peanut butter and culinary oils, ‘MA’s Kitchen’ is truly a staple of the Sri Lankan home.